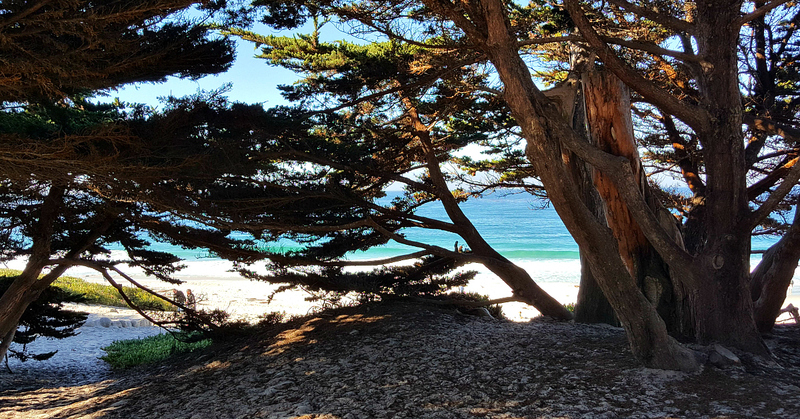 Each time I visit Carmel Beach, I am in awe as soon as I get that first glimpse of the water through the trees. Good feelings overtake me as I soak in the beauty. 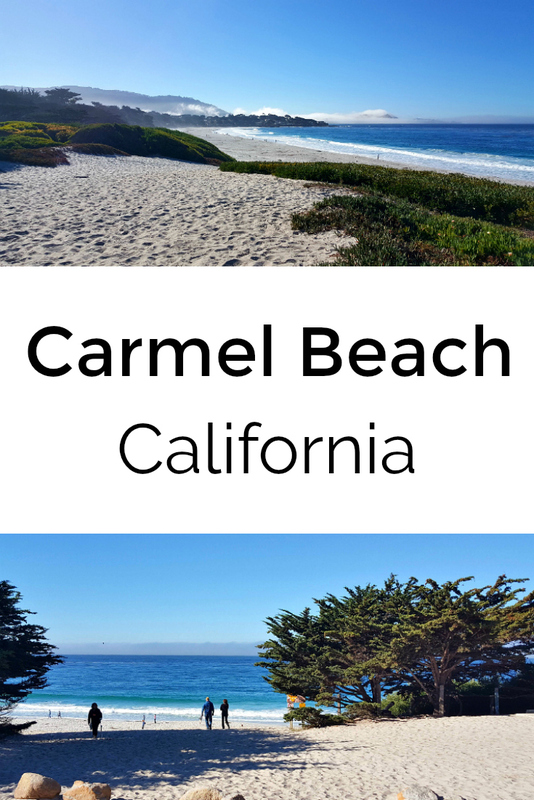 Just head down Ocean Avenue from downtown Carmel By The Sea, and you’ll end up at the beach. There is free parking available on Ocean and also along Scenic Drive. There were plenty of open parking spaces, when I was there on a November weekday. 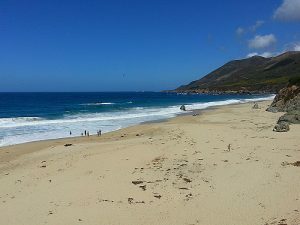 It’s more crowded on Summer weekends, but I haven’t ever seen it anywhere near as crowded as Orange County beaches. The town is dog friendly, and that includes the beach. Dogs are welcome to play off the leash, as long as they are under their owner’s voice control. 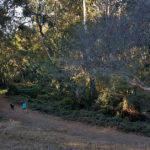 It’s always fun to see the happy dogs, and they are well behaved as they enjoy their freedom. Take a look at the photo slide show, and whet your appetite for a trip to the beach! 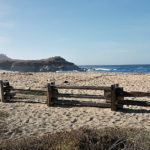 This is a popular beach for surfers, but the surf can be unpredictable and dangerous. This is a beach where I like to go for scenic walks and not for swimming. 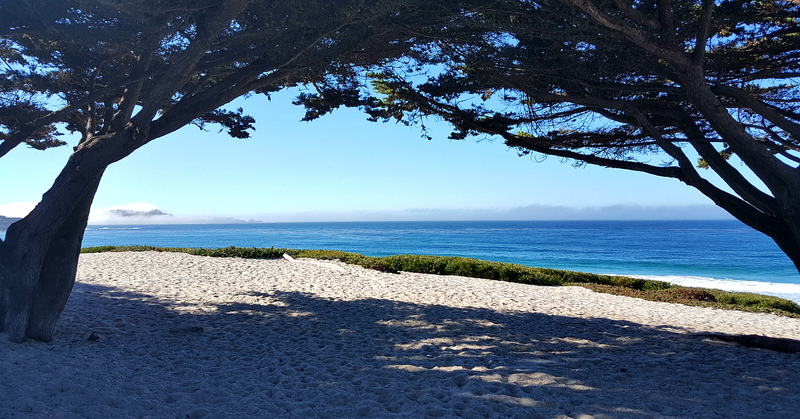 There are many beautiful beaches along the California coast, but Carmel Beach will always be special to me. 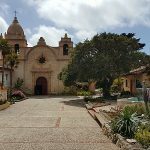 Also, check out our additional travel articles and take advantage of these Carmel by The Sea hotel deals.